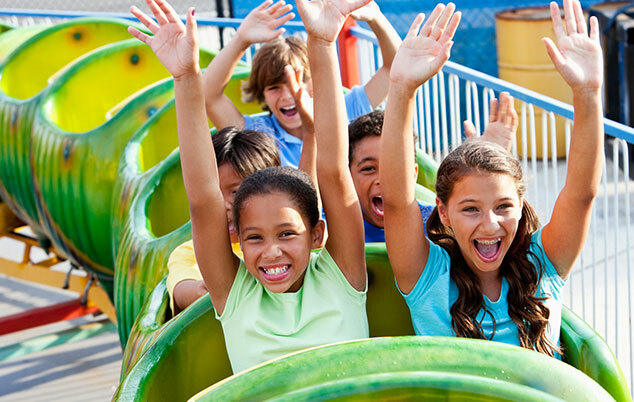 For the ultimate family fun zone, Story Land is where fantasy meets reality. This fairytale children's theme park in New Hampshire offers fun rides and entertainment to families and kids for over six decades. With 21 attractions, exciting live shows, interactive play areas, storybook characters, and all your favorite nursery rhyme animals set on 35 beautifully maintained and landscaped acres; Story Land brings the imagination and the land of make-believe to life. Soar through princess castles, meet Cinderella and Mother Goose, and check out the "Roar-O-Saurus" Dinosaur themed rollercoaster. Ages 3 +: $31, ages 2 and under are free. Memorial Day Weekend through June: 9:30 am to 5 pm. July to Labor Day: 9:30 am to 6 pm; Saturdays & Sundays from Labor Day through Columbus Day. Where is Story Land located? Located in New Hampshire's White Mountains on Route 16, Story Land is just six miles north of North Conway, a quarter-mile from the junction of Routes 16 & 302 in Glen, NH. Just 5 miles from the Grand Summit Hotel at Attitash, getting to Story Land is a breeze. Feel free to drive over as the parking at Story Land is free. Lots are on a first-come, first-serve, so plan accordingly. When does Story Land open? Story Land opens for business every Memorial Day Weekend to Columbus Day, running on limited hours on weekends only until mid-June, then open daily from 9:30 am to 6 pm from mid-June to Labor Day Weekend. Limited weekend hours begin again in September and October until it closes. Fridays and Sundays are generally less crowded, while Saturday is the busiest day of the week. June and September are great times to visit, as well as rainy days.